Shortlisted for the 2016 Forward Prize for Best First Collection and the 2016 T S Eliot Prize for Best Collection. 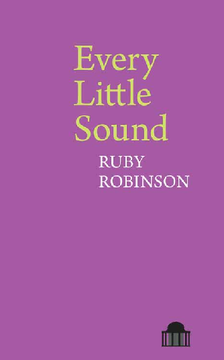 Drawing from neuroscience on the idea of 'internal gain', an internal volume control which helps us amplify and focus on quiet sounds in times of threat, danger or intense concentration, Ruby Robinson's brilliant debut introduces a poet whose work is governed by a scrupulous attention to the detail of the contemporary world. Moving and original, her poems invite us to listen carefully, and use ideas of hearing and listening to explore the legacies of trauma. The book celebrates the separateness and connectedness of human experience in relationships, and our capacity to harm and love.